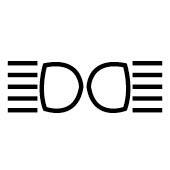 Ontario Motor Sales | Blog | What Do Those Lights on my Dash Mean? What Do Those Lights on my Dash Mean? Ever wonder what all those lights on your dashboard mean? When you start your vehicle, you should notice a barrage of icons light up and then, like that prize fish you hooked but didn't reel in fast enough, they're gone. We have found that, increasingly, our customers do not always understand what each of the icons on their dashboards mean. The purpose of this article is to explain what some of the most common icons represent, and what steps you ought to take should you suspect something is wrong with any of them. Before we begin, please note that we highly recommend contacting your dealership's Service Department should you notice any oddities with any of the lights on your dashboard. 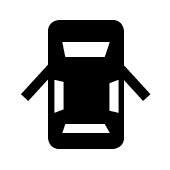 We take the safety of your vehicle very seriously and recommend getting your vehicle properly serviced at the sight of any dashboard icon oddities. Ontario Motor Sales's Service Department can be contacted at 905-436-7441 with such questions or concerns. The anti-lock brake system light should briefly flash on when the ignition in your vehicle is engaged. If you do not see this light when your vehicle turns on, or if the light does not shut off, try turning your vehicle off and then back on. If either problem persists, call your dealership immediately. This light should also come on briefly when your ignition has been engaged, and then turn off. 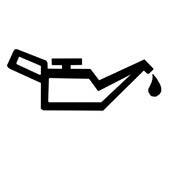 If the light does not come on, or if the light stays on, there may be a problem with the oil level in your vehicle. Call your dealership to have your vehicle looked at. This is another light that should briefly light up when your vehicle is turned on, and it should disappear shortly thereafter. If the light does not come on, or if it remains lit, call your dealership immediately as there may be a problem with your power steering system. This light should turn on briefly while your vehicle is started. If the light is on and flashing, it means that your traction control system (Stabilitrak in GM vehicles) is working properly. 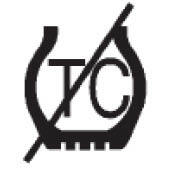 If you are concerned about the status of your light or confused about the traction control system in your vehicle, contact your dealership for more information. This light indicates if one of your doors is not closed properly, and it should specify exactly which door is ajar. Simply open and close the door properly to shut the light off. 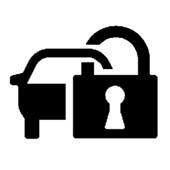 If you notice problems with this light, especially after securing your door, contact your dealership right away. The check engine light is perhaps the most infamous of all dashboard lights. 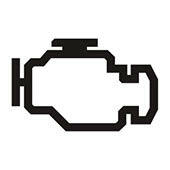 This light typically indicates serious problems with your vehicle's engine. If your check engine light stays on, call your dealership immediately as your engine could be at risk of suffering serious damage. 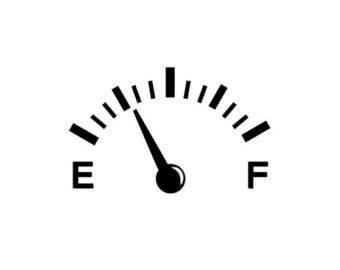 The fuel gauge icon indicates approximately how much fuel is remaining in your tank. 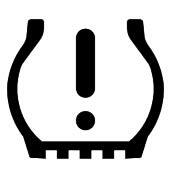 You may notice a small, oval-shaped light flash on when your vehicle runs low on fuel. Ensure you fill your tank regularly. Fun fact: the arrow beside the gas tank icon points to the side of the vehicle that your fuel tank is on! This light should flash briefly and disappear when your ignition is engaged. If it does not, call your dealership immediately. 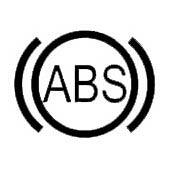 The purpose of this light is to indicate that your vehicle's airbags and wiring have been checked. 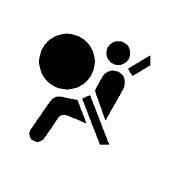 If the light flashes on and then off as normal, then your airbags are operational and ready in case you need them. 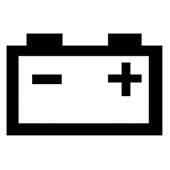 If this light does not shut off after it briefly flashes during your vehicle's ignition, or if it comes on while you are driving, have your dealership check your vehicle as there may be an issue with your battery or electrical system. If a short distance must be driven while the light remains on, turn off as many electronic components in your vehicle as possible, such as your radio and air conditioner. If this light comes on (other than briefly during your vehicle's ignition sequence), have your vehicle looked at right away as there may be a problem with your braking system. 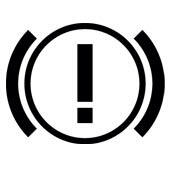 It is vital that you avoid driving while this light is on as your vehicle's brakes may not be working properly. This light should come on when you have pressed the Traction Control/Stabilitrak button in your vehicle, therefore disabling your vehicle's traction control system. To turn the traction control system back on, simply press the button again. If pressing the button does not disable the light, have your vehicle serviced as there may be an issue with your traction control system. 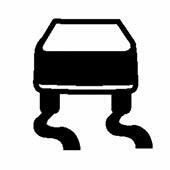 If this light comes on and remains steady, one or more of your tires are seriously underinflated. Otherwise, the light should only turn on briefly when you start your engine. Proper tire pressure is key to the safety of your vehicle, so contact your dealership if you are concerned with the status of this light. This light indicates a reduction in your vehicle's performance. 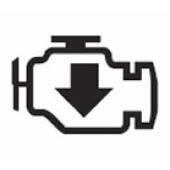 While the vehicle may be driven at low speeds with this light on, we recommend seeing your dealership immediately for a complete diagnosis and repair. If this light stays on after your vehicle's ignition phase, call your dealership immediately as there may be a problem with your vehicle's theft-deterrent system. In some cases, this light remaining on may stop the engine from starting altogether. This light comes on when your exterior lamps are in use. If this light flashes irregularly or if you are concerned with the lighting system on your vehicle, contact your dealership immediately. You may have noticed a pattern with each of these lights; that being to contact your dealership should you notice anything out of the ordinary with their operation. At Ontario Motor Sales, we take your safety, and that of your vehicle very seriously, which is why we recommend seeing a professional if you find yourself confused or concerned about any of your dashboard lights. 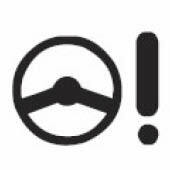 You can find more information on all of the icons on your dashboard in your vehicle's owner's manual. If you have misplaced your owner's manual, you can find digital versions online at your manufacturer's website.